Christian's siblings and mom Kim Porter were there to party with him along with all the cool kids of LA. Christian seemed to really enjoy himself and by the way Kendrick Lamar speaks about him in the movie, he seems to be a good kid as well. The video is directed by Diddy, and was a big surprise for Christian according to his IG page. It's a sweet gift that Christian can always look back on. This party was too live. Check out the small movie below. 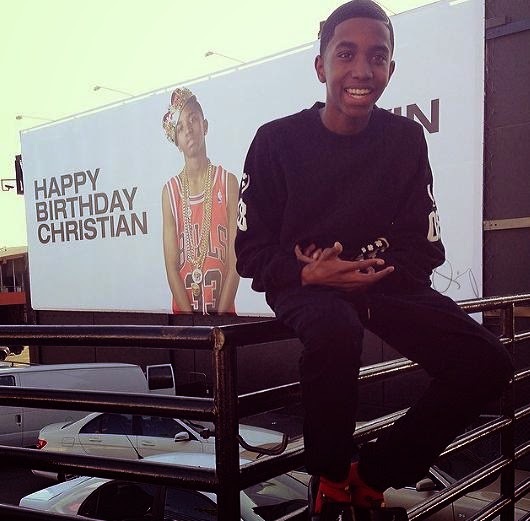 Christian is adorable, hope he had the perfect birthday!